Bright Land continues to be our main project and has been extraordinary. Collaborating with brilliant choreographer Kate Weare and her talented passionate modern dancers has been the most challenging and gratifying experience to date. 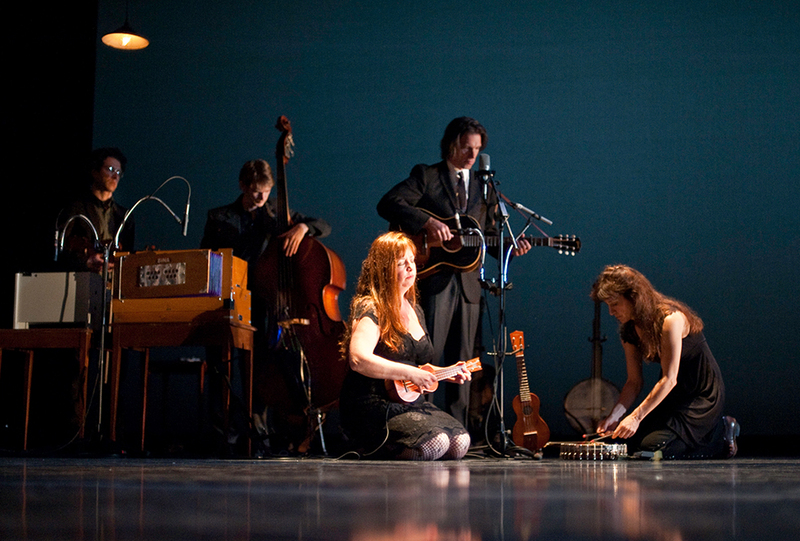 Thanks to Warren Hellman’s interest and generous financial support, The Crooked Jades were able to go into the studio to record the intricately composed Bright Land soundtrack after the live shows at ODC and are now in the middle of post production with a projected winter completion for a spring 2012 release. Also look for the Bright Land documentary by Charlie Steiner slated for release at the end of this year. Shot in New York last summer leading up to the premiere at New York’s Joyce Theatre, the film follows the dancers and musicians during rehearsals and right into opening night and really showcases the nitty-gritty process of this unique collaboration between modern dance and old-time music.